Choosing the best memory foam mattress can be difficult, to say the least. There are hundreds of brands and many different types to confuse you all the more. Who would think that buying a mattress could be so complex? There are so many factors to consider such as overall thickness, layer height, IFD rating, plant-based or gel formulation; the list goes on. Also, since the price of one can vary from a small amount to large, it’s important you make the right choice when investing your hard earned cash. Luckily, our memory foam mattress reviews and buying guide are here to help you; in this article, we have summarized all you need to know. Most people reading memory foam mattress reviews or looking to buy have probably asked themselves this question before. In its simplest and common form, most memory foam mattresses are generally manufactured using viscoelastic foam and consists of a multi-layered design. The topmost “Comfort Layer” is made of unique materials which mold to the body shape when it comes into contact with body heat. By molding to the body shape, the downward pressure and stress on joints created by gravity are eliminated. When the foam cools down, or if parts of the body are not in contact, the surface will turn to its original horizontal form. The second platform is usually referred to as the “Support Layer.” It’s designed to be more rigid, so the overall shape of the mattress is retained, and offers support to the softer and thinner comfort layer. Then you have the “Base Layer” which is the bottom platform of the design. The base supports the top two and is usually the thickest and most rigid of the three. Each layer mentioned can have sub-layers depending on manufacturer, design, and innovation, but generally, that’s how it is made up. There are many factors that go into choosing the best memory foam mattress. Even once you’ve narrowed down your type of foam, you need to do more research to figure out the best brand, type, and selection for you. Fortunately, we have done this research for you. Read through our memory foam mattress reviews and buying guide to truly understand how to choose and which to buy. As you go about looking for a top-rated memory foam mattress, you’re sure to come across some that claim to have certified foams or other certifications. “That’s great,” you’ll think, as you scroll through the features of each, but what do those certifications actually mean, and do they truly make a difference? One of the most common you’ll see is the CertiPUR-US certification. What it means is that the mattress is constructed with foams that are made without ozone depleters, made without potentially harmful flame retardants, do not contain mercury, lead or other heavy metals, do not contain formaldehyde, are made without phthalates, and have low volatile organic compound emissions for the best indoor air quality. That’s a lot to achieve for manufacturers, but it also guarantees a higher level of health in your home, so it’s an important seal we recommend you look for when buying a mattress. 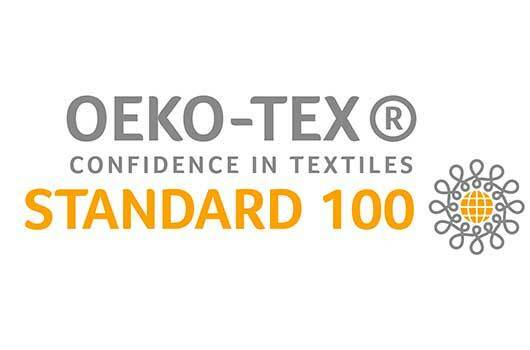 Another essential certification is the Oeko-Tex Standard 100. It is an independent certification that is used worldwide on a variety of textiles, so the standards are even higher than the US-only CertiPUR certification. This is an excellent certification to hold and is especially handy for buyers specifically looking for non-toxic mattresses. Any mattress with this certification will be guaranteed not to “off-gas” and expose you or your family to harmful chemicals. Mattresses in this category are hypoallergenic and contain no chemicals that have the potential to cause harm as the mattress is used over time. This does not necessarily mean that the materials used are 100% organic, but it does guarantee your safety, and that is a significant point to consider during your mattress search. The ever-increasing diagnosis in the US of chronic back pain and joint pain was the primary reason memory foam beds were invented in the first place. Researchers noticed that traditional innerspring beds created pressure points that were causing, rather than relieving, back pain, so they sought to create a bed that would do the opposite. When you sleep on your back, (as suggested by doctors as the best way to sleep), a top rated memory foam mattress will align your spine correctly without creating painful pressure points. It allows the areas of the body that need to sink in to do so while supporting the areas that need more support. There are different firmness levels available in memory foam, so side sleepers and stomach sleepers have options to find comfort as well, but the goal of memory foam is to help side and stomach sleepers to learn to be comfortable sleeping on their backs all night and therefore decrease back and joint pain over time. If you are a side or stomach sleeper, go for a less dense foam. Something with a medium to plush feel would be preferable. These foams are more likely to let your body sink enough to keep your spine aligned almost as well as a back sleepers. Roughly ten years ago, when the new memory foam mattresses were released, and everyone was talking about them, buying even the cheapest memory foam mattress meant you had some serious money. Today, however, that’s not necessarily the case. You can get a genuinely impressive quality memory foam mattress on any budget, as long as you shop around for the best deal and know what you need. Because this type of foam is not expensive to manufacture and is now such a common material, it’s almost as easy to find a great, cheap memory foam mattress as a high-end version. If you’re looking for a luxurious experience, you may have to open your pocketbook a bit wider. Generally, the thicker the mattress, the better quality the foams it is made with, and the more certifications it has, the more expensive it will likely be. Many of the more pricey models are not delivered in the bed-in-a-box way that has become so popular in recent years, usually due to the thickness. Either way, the best memory foam mattresses are available to people with all kinds of budgets. Don’t fret no matter where you are on the scale; you are sure to find just what you need if you take your time and look at all the options. The ever-increasing popularity of the bed-in-a-box mattresses is a sign of our convenience-based world, but do these genuinely compare to your standard truck-delivered variety? The short answer is yes, but be careful if you need your mattress right away. It can take up to 24 hours for some of these mattresses to fully re-inflate, so don’t get rid of an old mattress right away, or at least keep an inflatable bed available while you wait for your new mattress to be ready. Memory foam is especially susceptible to being vacuum-sealed into a box for delivery because the foam contains air pockets throughout that can be eliminated and reintroduced without harming the product itself. This type of solution is great if you are on a budget and don’t want to pay the added cost of having a mattress delivered by truck and crew. These can be just as heavy as conventional mattresses, however, so make sure you have some help to set it up if you’re not up for hoisting a 100lb box up the stairs to your room. The best memory foam mattresses often come with covers to protect the layers of foam from wear and tear. Some of these covers are removable, while others are not. Knowing a little bit about the materials used in your cover will help you to determine what your best choice will be, and how simple or difficult your mattress will be to clean. Covers are most often made from either cotton or bamboo. If your cover is a zip off, ensure you understand how to properly wash and dry it so that it maintains its size. If you shrink the cover, you’ll be hard-pressed to get it back on, and replacing covers can be expensive. Ideally, you will want to ensure your cover is hypoallergenic, and that it doesn’t contain harmful chemicals that could seep into your foam mattress or your body as you use it. If you find a mattress that is certified by any of the above-mention certifications, you will likely not have to worry about it containing harmful chemicals. Memory foam is continually being updated from standard viscoelastic or gel foam types to copper, graphite, charcoal and green tea infused, and more is likely on the way. These infusions in such mattresses are beneficial for a variety of reasons. For instance, copper and charcoal have a natural cooling effect, so you don’t have to have an expensive gel foam mattress to maintain its temperature throughout the night. It is also naturally antibacterial and antimicrobial, so your bed will stay cleaner longer, and you will benefit from extra health. Graphite is great for similar reasons. It is cooling, and also incredibly durable. In addition, graphite is essentially a chemical-free flame retardant, so you won’t have to worry about candles next to your bed. Finally, graphite-infused memory foam is thought to be more responsive to pressure points to relieve back pain better than other foams. Green tea is another favorite infusion in bed foam today. It is primarily used as an anti-oxidant to draw chemicals and bacteria away from you and your mattress, and keep you healthy for years to come. All of these infusions have a purpose, and all of them can help to make your mattress last and keep you healthier and happier in the process. Obviously, extras will generally cost more, especially since these infusions are the latest and greatest right now, but that doesn’t mean they are impossible to find on a budget, so don’t give up hope too quickly if you’re in need of something at a lower price. The most common sizes or names in the US are Twin, Twin XL, Full, Full XL, Queen, King, and California King. In the UK and other countries sometimes the sizes are referred to as different names like Double-Sized, Single, King Size and Super King. Aside from the various mattress sizes, the most common feature you’ll see advertised when choosing the best memory foam mattress is their thickness. Each can range anything between 7 inches all the way up to 16 inches thick, and sometimes possibly more. Thickness is an important factor for some people for multiple reasons, for example, depending on your type of bed, you may want something relatively thin and flexible (for an adjustable bed perhaps), or something tall and thick (to raise the height of a low bed). Generally, the thicker ones are more expensive as they offer more than the conventional three layers. For example, there may be an extra ventilation layer, or an extra comfort layer. There are generally three platforms which make up the design. Each one is usually different in thickness and serves its purpose. One thing to note though is that just because its thicker overall doesn’t always mean its better quality. Be sure to check the thickness of each layer, and to check what combination, materials and foam type have been included in its design. First on the scene, since 1992 the viscoelastic memory foam mattress has probably become the most established and the most popular. You may see this type referred to as Standard, Traditional Polyurethane, or Petroleum-Based. As the name suggests, this type uses petroleum-based polyurethane foam and was invented by NASA, and was originally commercially released for bedding purposes. Sometimes you may see the Traditional also referred to as Tempur-Pedic, but it’s important to remember that this is a brand, not the technology. It’s also worth noting that almost all memory foam pillows are made of this type as opposed to the exotic variants which have come to exist, and are discussed in detail further below. Whereas when it comes to memory foam mattress toppers, although viscoelastic is the cheapest and widespread, the gel and plant-infused types are also abundant and readily available online. The viscoelastic is excellent, and if not the best for motion isolation, silent usage, joint aches, and back pain relief, durability, and availability. Being one of the most popular technologies adopted by entry-level and expert manufacturers makes this type of mattress widely available in almost every local showroom and online retailer. Due to the extensive ranges available there is something available for everyone; prices range from very low for a cheap memory foam mattress all the way up to thousands for a top end product, so depending on your budget you can have exactly whatever suits your needs. Regarding durability, you generally get what you pay for, but should expect your new mattress to last over seven years even for a budget brand. The excellent motion isolation derives from temperature reactive technology; this means your partner may be 3 inches away but can be tossing and turning without disturbing your side of the bed. Although the viscoelastic type has been a consumer favorite for decades and is far better than an innerspring or pocket coil, it has stiff competition now with alternate designs such as gel-infused or natural plant-based models. The main issues of concern are complaints of toxic off-gassing, voc’s, heat retention, slow response times and sleeping hot. Viscoelastic foam reacts with temperature which means body heat will mold the shape around contours of your body. However, this technology often excessively retains heat and can lead to the sleeper feeling uncomfortably hot throughout the night, which isn’t great for warmer climates but can be a bonus for colder ones. As well as sleeping hot due to heat retention, slow response times from the mattress when moving around are common due to slower reactions to the temperature. The most common complaint, however, is the toxic off-gassing (also known as outgassing) which is the release of odor that can last anything from a few days to a few weeks. Off-gassing is the process of a chemical release which occurs in a new mattress due to its chemical composition and packaging. 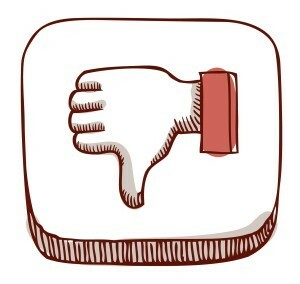 Recent surveys show that 15% of people complain of off-gassing. The gel memory foam mattress is the latest addition of the three types. Essentially this is the traditional viscoelastic foam version but infused with millions of gel beads. The idea behind this technology is the gel will not trap heat like its predecessor; trapped heat can lead to poor response times when someone moves around and can also increase the body temperature. Big brands such as LUCID and Brentwood have established a foothold online and in showrooms with popular models of the gel mattress. They tend to sleep cooler and dissipate heat at a faster rate, which leads to faster response times when moving around throughout the night. There is also minimal motion transfer which means you can move around freely without disturbing your partner. Also, because this is the latest hype many manufacturers have begun to utilize this technology, so buying a gel memory foam mattress is very easy regarding availability. Although generally, the gel mattress sleeps cooler, to begin with, if two people are sharing, throughout the night the gel can tend to warm up. Also, like the traditional memory foam mattresses, the gel models also let off VOC’s and so the “new odor” is quite common. However, this shouldn’t last more than a few days. Also known as an eco or natural memory foam mattress, this is quickly becoming one of the most popular and best-rated mattress choices amongst consumers. The plant-based solution replaces a portion of the gel or petroleum-based substances for plant extract as its filling. Such extracts could be soya, aloe vera, tea or bamboo; each manufacturer may use different plants but will generally make it clear in their specifications what they are using. When it comes to comfort, joint pain relief, and support, these products generally offer the same benefits as its predecessors (the viscoelastic and gel mattress). However, they are far superior when it comes to motion isolation, heat dissipation, good joint support, back pain relief, odors, off-gassing, eco-friendliness, and health consciousness. They are cooler to sleep on and dissipate heat up to 10x faster than a polyurethane foam mattress due to the extreme open-cell technology. These are widely accepted as the best mattress for allergies and sensitive skin due to the natural substances used, offering a healthy alternative to chemicals found in the previously mentioned products. The eco-friendly innovation means they are manufactured with zero emissions and contain zero toxic VOCs (Volatile Organic Compounds) which have previously been causing for concern with traditional petroleum-based models. Also, unlike the visco memory foam, there is no toxic off-gassing resulting in bad odor from the mattress. Like any new and innovative technology, this type is generally more expensive than a viscoelastic or gel mattress. Some people have sensitive skin and allergies so will, unfortunately, have to pay the premium for natural products. You may also struggle to find showrooms locally which stock or deliver these mattresses; however, if you want a plant-based item, you’ll find plenty online. One of the most important things to consider is how soft or hard the molding experience should be. When we say molding, we mean how the mattress firmness reacts to weight and pressure, adjusting to the contours of the body, thus producing an even, comfy, firm or soft platform. The lower density type means you will experience a deeper, more plush and cozy sinking sensation; whereas the increased density type means that although the sinking feeling will still occur to an extent, it will feel more firm and padded. One isn’t better than the other; it’s down to personal preference. You will commonly see density measured in pounds (lbs). A foam density of 2 – 5lbs is most common, and anything over 5lbs is considered high quality. Just remember that a lower density figure means soft and plush. A higher density figure means it will be firm and supportive, which is usually considered the best mattress for back pain. IFD Ratings are another way of identifying how soft or firm the foam is. The ratings range between super soft (IFD 10) and semi-rigid (IFD 120). The most common are generally an IFD 12 to IFD 16, but this measurement isn’t very widespread in the mainstream market. Commonly used as an adjustable mattress, the Cypress is another smart, innovative, multi-layered design from an all American company. It is made with CertiPUR-US certified foams to promote maximum health and wellness while allowing for good sleep. This bed is a medium firmness that is great for all sleeping positions, or for partners with different sleeping preferences. The gel memory foam not only increases spinal alignment, but it also reduces motion transfer to provide a great night’s sleep regardless of how much your partner or pets move around. The medium density 13” cool gel mattress is comprised of four levels of materials that combine to make a cool and comfortable sleeping surface. Proudly manufactured in Los Angeles, California, the Cypress comes vacuum rolled in a bed in a box format for ease of maneuverability and is available in all the standard sizes. The removable natural bamboo-derived rayon cover is washable, and with an above average 25-year limited warranty period, this gel mattress comes highly recommended as a buy that will give you peace of mind for years to come. This is probably one of the best memory foam mattresses for sale when it comes to value for money in our opinion. 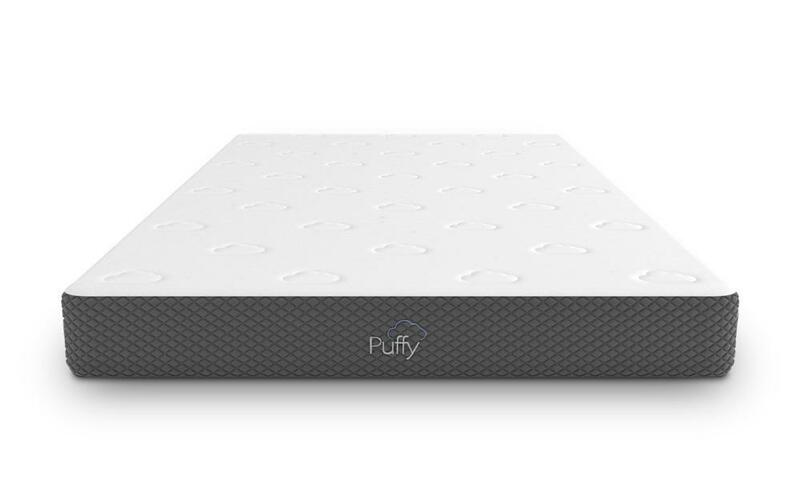 Another great value product from a leading American manufacturer, the Puffy mattress is 10″ thick and made from 3 layers of gel memory foam. It has a Cooling Cloud comfort layer, followed by a Climate Adaptive Regulation second layer, and a Firm Core Support high-density base layer for maximum support and comfort. This luxury mattress comes in a variety of sizes ranging from Twin to California King, and is an excellent mattress for side and back sleepers, since it is extra supportive and on the medium-firm side overall. This is one of the thinner mattresses we have reviewed so far, but still oozes quality and has great temperature regulating properties, keeping you cool through the night. It is shipped compressed, rolled and boxed like most of the others in our memory foam mattress reviews. Be sure to have some help getting this one into place when it arrives, as it weighs a fair bit (not a one-person job). This one is CertiPUR-US certified like many others on our list, so it will not be harmful to anyone in your home or the environment. There is a lifetime warranty included, and a 101-night in-home trial available too. You can easily compare the Puffy to much more expensive mattresses with the same features, but this one still comes out on top concerning value and satisfaction. 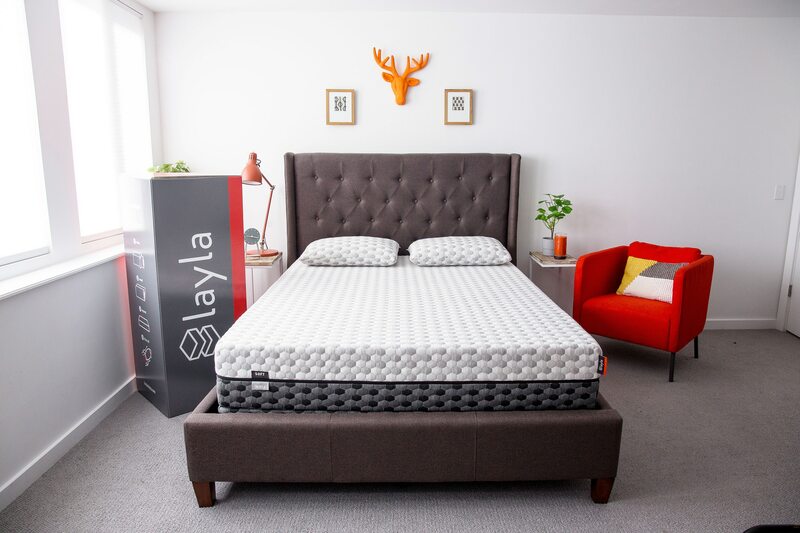 Probably the most popular eco-friendly mattress around, (without considering latex alternatives) the award-winning Layla mattress reduces back pain and eliminates common pressure points. It offers two-sided firmness and is what’s known as a flippable mattress, which means on one side it’s soft and when flipped over it’s firm. Totaling 10.5 inches in height and consisting of 4 tiers, it has a 3″ copper-infused top layer (the medium-soft side), 2″ of convoluted support foam, 4.5″ of base support foam, and a further 1″ of copper memory foam (this is the firm side). Like many of our memory foam mattress reviews here, this too is one made with innovation in mind, bettering your sleep and health on a brand new level. However, not many mattresses (if any at all) come with copper infusion, which is why this one stands out among the crowd. Cooling, supportive, flippable, delivered in a box, the list can go on. 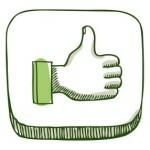 It is undoubtedly an excellent choice for you. The foam used is CertiPUR-US certified, so you know you will not be exposed to harmful chemicals during slumber. Layla Sleep offers a lifetime warranty to give you peace of mind when you buy. In addition, there’s a 120-night in-home trial and free returns. Returned mattresses get donated to a charity, which is a great gesture, providing for those in need. This 10″ high, plant-based memory foam mattress by Leesa is a triple layered combination of materials that provides the utmost comfort, optimal support, and pressure point relief for all sleeping positions. A great choice of mattress for couples due to its above-average motion isolation, it is fast becoming a popular household name, and is frequently living up to its tagline of “The Better New Mattress.” With its trademarked Universal Adaptive Feel that adapts to all body types and sleeping styles, it quite possibly is the best memory foam mattress within its price category. It’s currently a top rated mattress which reigns number one for the direct-to-consumer category, and with a mid-level firmness, it suits almost any type of sleeping position. 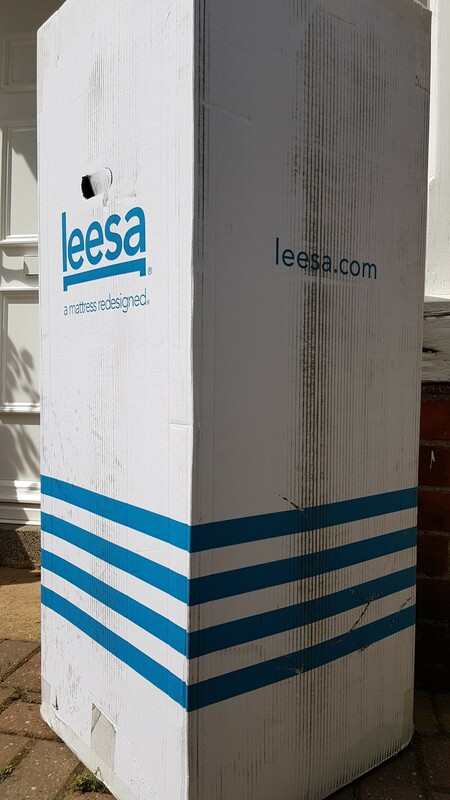 As with most of the memory foam mattress reviews here, the Leesa comes compressed and rolled for ease of delivery and setup. It is also worth noting that this bed is 100% made in the US, and the company donates one mattress for every ten it sells, and plants a tree for every Leesa sold to promote a solid social impact. Check the full Leesa review for more information. The Plush 14” by LUCID is a CertiPUR-US certified gel foam mattress that features a one-inch bamboo charcoal memory foam layer for natural cooling. The charcoal infusion makes the gel mattress naturally antimicrobial and antibacterial, which will help improve your overall health and keep your mattress cleaner longer than the average bed. This popular mattress ships via the bed in a box format, which means quick and easy setup and delivery that saves you money. It has a 10-year warranty to help you avoid any buyer’s remorse and ensure your satisfaction. The materials in this mattress should give you peace of mind that you are getting a great product, regardless of the warranty, though. The LUCID is a plush firmness for maximum comfort in most sleeping positions. It is also great for reducing motion transfer from pets or partners as you naturally readjust positions in the night. If you’re after something which is compatible with adjustable electric beds, the 12″ Cool Breeze by DynastyMattress is an excellent option for you. The bed features art cool airflow foam to help regulate your body temperature as you sleep and move. This high-quality mattress consists of four primary layers of visco and gel memory foam. 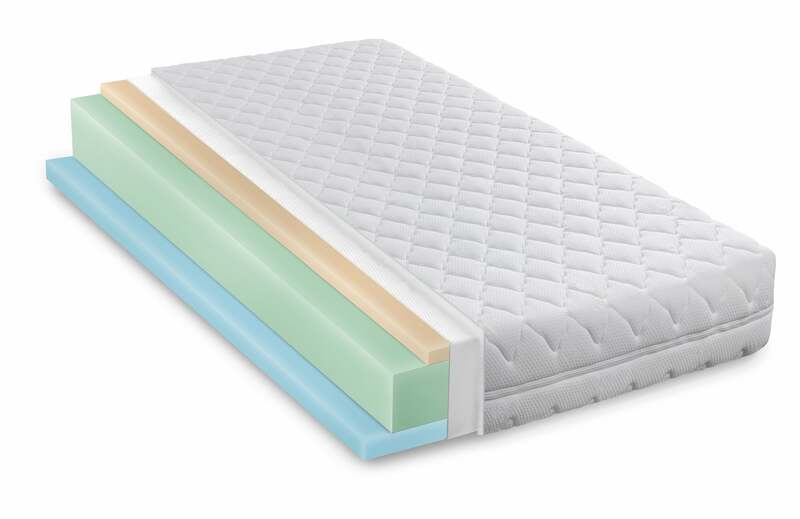 The three-inch top layer is made up of a premium, high-density, firm and supportive foam, perfect for back sleepers. This sits on top of a resilient five-inch foam base, which can easily flex and elevate with the movements of an adjustable bed if required. Like the other’s we have discussed in our reviews thus far, the Cool Breeze is delivered vacuum packed and rolled, which means you won’t be able to use it right away, because it needs at least a few hours, sometimes a whole day, to unflatten. With a 30-year limited warranty, this is a very safe purchase for someone who is new to the world of memory foam mattresses. This model in our lineup of memory foam mattress reviews is great for people who are shopping on a budget that is at the lower end of the scale. This extremely popular, dual-layered, 12″ visco mattress is comprised of traditional polyurethane foam, so it does not have any cooling features like gel, nor is it infused with anything like graphite or copper (see cooling mattresses). It is a pure and straightforward memory foam mattress without all the bells and whistles of other foam options on the market right now. However, it is a formula which performs very well, offering pressure point relief and lightly cradling comfort. The Shiloh has a three-pound density rating, which means it will be luxurious medium-firm, while still providing essential orthopedic support. The Shiloh could be good for all sleeping positions but is an excellent choice of mattress for side sleepers due to the plushness of the top layers of foam. Sleep Innovations claims it is environmentally friendly and naturally antimicrobial, as well as resistant to dust mites. The soft poly-cotton blend mattress cover is removable and washable for added hygiene. Made in the USA, offered with a 20-year limited warranty, and delivered vacuum packed, this should make it onto most shortlists. With all of these features combined, it’s probably the best mattress for the money so far in 2019. This is a relatively budget-friendly model from a brand that is quickly establishing itself as a popular choice for those after eco-friendly luxury. At 12″ thick, the green tea infused plant foam mattress by Zinus is healthy, innovative, and extremely comfortable. Zinus infuses its mattresses with green tea because of its proven anti-oxidant properties. In addition, they use CertiPUR-US certified foam to ensure their mattresses are not harmful to your health. Great for all types of sleepers, including those suffering from chronic back or joint pain, this extremely comfortable mattress is an excellent all-around product. It has surprised many of us with its continued solid performance over time while offering tremendous value for money. The bed-in-a-box solution comes conveniently shipped to your door vacuum rolled with a 10-year warranty to increase your satisfaction with this product. The best foam mattress of its kind, this one makes the short list when it comes to eco-friendly manufacturing and overall sleep related health. As an ideal mattress for side sleepers and back sleepers too, the Shea is a memory foam mattress worth considering if you and your partner sleep in different positions, or if you change positions throughout the night. This mattress can cradle any body type and weight for ultimate comfort. The medium density feel is delivered using their DuoComfort innovative design, which features a three-inch layer of SureTemp foam at the top and a seven-inch Support-Plus base below. This combination ensures comfort and support for all, so you wake up refreshed and not drowsy. Simple as it may sound compared to some of the other top-rated mattresses reviewed on this site, but it works well at assisting refreshing slumber and spinal alignment whichever the chosen sleeping position. This is another bed that is made in the USA and features a 20-year limited warranty. The 12″ thick Signature Sleep Memoir comes in Twin, Twin XL, Full, Queen and King sizes, and is delivered boxed and rolled straight to your door for your convenience. The next step is to unpack the mattress and allow it to expand into shape before using, which could take up to 72 hours to complete. The look of this mattress is modern, and the design is innovative, but without sacrificing comfort. The top layer is made of eco-friendly Memoir Foam, followed by a high-density foam layer for the support that provides even pressure and weight distribution regardless of how often you toss and turn throughout the night. Also, by using CertiPUR-US certified foams, you can rest assured that your health will not be compromised by harmful chemicals and additives that non-certified foams contain. Finally, this mattress comes with a removable knit-fabric cover for easy cleaning and maximum health consciousness. The Memoir can also be purchased in six, eight, or ten-inch thicknesses to fit every member of your household. It is a great value and a mattress to consider if you are in the market for an eco-friendly memory foam option. Are memory foam mattresses good? In short, yes they are. In fact, they are among the best-rated mattresses on the market. But choosing one can be difficult. There is no such thing as the worst or best memory foam mattress. It all depends on personal preference, requirements, and budget. However, considering that a good mattress can easily last over 10 years, plus factoring the original cost involved, it’s wise to make the right choice from the outset. Consider it more an investment than anything else; after all this purchase will bring you health benefits as well as comfort. Of the ten memory foam mattress reviews our number one choice is the Brentwood Home Cypress. The 13″ overall thickness is relatively thick compared to others, and that’s not the only good thing either. Made up of a 3.5″ gel comfort layer, 2″ ventilated airflow zone, and a 7.5″ high-density base, it offers a medium feel, which is recommended for most people from both a health and comfort point of view. The breathable, open-cell technology means this one stays cool and offers a temperature-neutral comfort. It’s perfect for different sleeping positions which means whether you’re a side sleeper or back sleeper you’ll always have maximum support. Also, the foam is CertiPUR-US certified, and for added peace of mind, it comes with a 25-year warranty. The owner verified satisfaction reviews across various sites online reinforce our decision that overall this is one of the best foam mattresses around in 2019. What happens if a memory foam mattress gets wet? Can it still be used once it dries out? Yes, it can be used. Leave it to dry properly for a day or two. Works especially better if dried out in the sun. ChooseMattress.com is a participant in the Amazon Services LLC Associates Program, an affiliate advertising program designed to provide a means for sites to earn advertising fees by advertising and linking to Amazon.com.